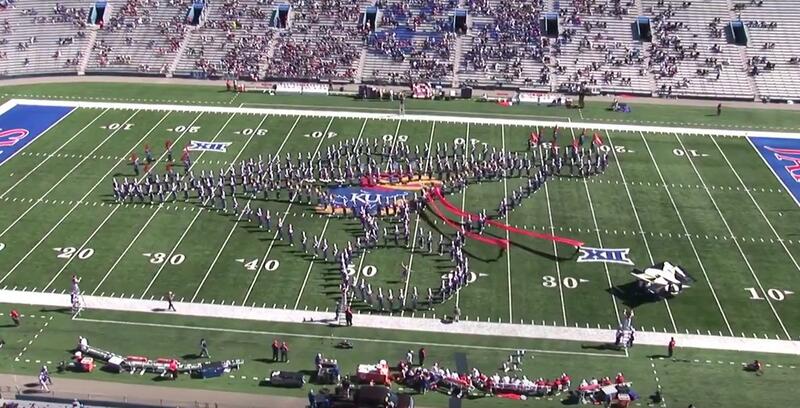 The University of Kansas might be better known for their basketball than their football, but that doesn't stop them from putting a great marching band on the field each year. While wins might be hard to come by for the players, the Marching Jayhawks are still undefeated at halftime and really that's all that matters anyway. Watch as they take us to outer space and even have a battle with photon torpedoes! You'll really enjoy this halftime show from one of the great bands if the Big12 Conference.